This page shows the latest Prescription news and features for those working in and with pharma, biotech and healthcare. 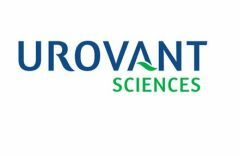 If approved, it would become the first new prescription drug in nearly a decade for OAB, claims Urovant. The budget would fundamentally upset the successful Medicare drug benefit that has provided American seniors with affordable prescription drug coverage while costing taxpayers less than originally expected. ". The inquiry, entitled"Drug Pricing in America: A Prescription for Change, Part I" is one of several renewed initiatives in Washington aimed at tackling branded medicines prices. He says this could reduce the high out-of-pocket payments US consumers have to pay for their prescriptions. ... The changes would create a new legal exemption for prescription drug discounts that are offered directly to patients. Approximately 8 fully matching, plus 1,010 partially matching documents found. There are, of course, thousands of books that claim to have uniquely effective prescriptions. treat with over-the-counter skincare products on an episodical basis, rather than visiting an HCP for prescription treatment advice. Approximately 0 fully matching, plus 109 partially matching documents found. In this role, he will be responsible for leading both the company's Omega Pharma organisation and Perrigo's consumer healthcare and prescription pharmaceutical business. experience to diversify and grow our portfolio.". Dr Dunton has spent 33 years in the industry discovering and developing new prescription and over-the-counter products. Pink Carrots, which recently won the prescription medicines category at the GWA HealthCare Awards 2014, also made three other hires. In an earlier quantitative wave of research we had identified four segments to define physician treatment and prescription behaviors. In addition from Q1 2019 Therapy Watch will now be tracking prescription topical treatments in both a secondary care and primary care setting providing broad visibility of the psoriasis market landscape. In addition, two-thirds of GP prescriptions could be transferred to cheaper over-the-counter drugs or no medicine at all.. ... For example, technologies may communicate medical notes, take care of appointment bookings, and process prescriptions..
of prescription medicines to patients. Approximately 3 fully matching, plus 74 partially matching documents found.